The Faroe Islands are out of this world. The whole place is made up of 18 different islands, but you can drive to almost all of them. It was so peaceful and quiet there and everyone was so friendly. We would highly suggest renting your own car so that you can drive from place to place. It it such a remote place with incredible nature to experience. Every day we would just hop in our car and drive. It reminded us a lot of Iceland as it is not far from it but much smaller and more remote feeling. Definitely a wonderful place to get away and just be still. 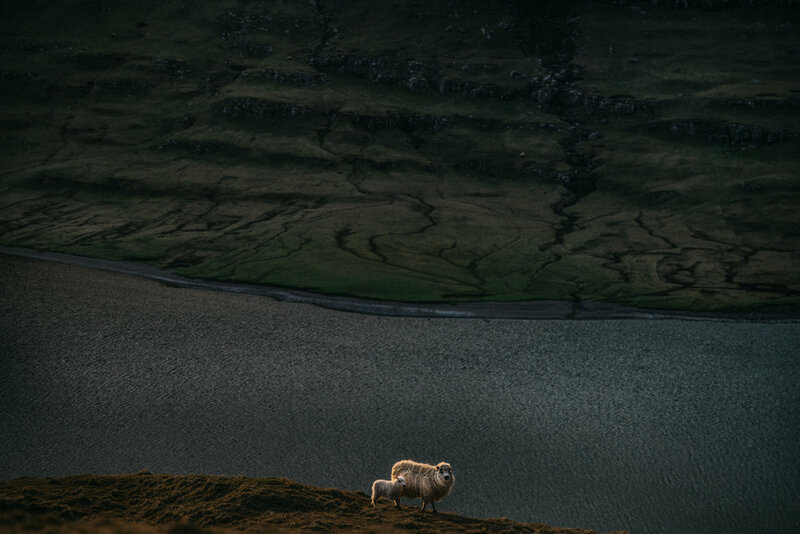 We stayed in a small little home on the sea while working with Visit Faroe Islands. It is currently not available but here is a list of other great places. Barbara Fish House - This restaurant was located in the cutest house with a grass roof. Their fish was so delicious and the environment was perfect. Guesthouse Hugo - This was a small little bnb that also had a restaurant in it with a super welcoming staff and a great view. Hike the Lake Sorvagsvatn where you can see both a lake and the ocean at the same time. Explore Torshavn, the capital city of The Faroe Islands. Take your time! All of these islands are very small. Don't try to see everything in one day. Stop and enjoy the sheep!